Self-drive tours for individuals with private car or “car for rent” around Baltics! We offer guaranteed and “on request” self-drive tours on economy, comfort and luxury class! Flexible packages we offer includes everything you need for self drive - accommodations, maps, detailed itinerary, emergency travel assistance and more. This is the way to freedom to explore! 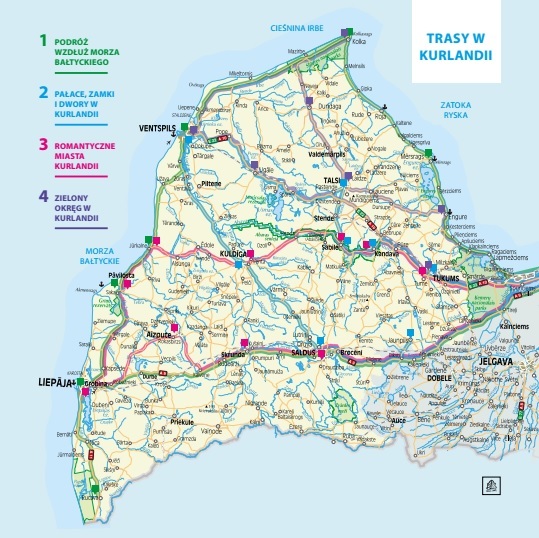 In cooperation with Kurzeme Tourism association Self drive tours in Kurzeme now in Polish language!